Leave it to the music gods to release two albums from Singer/Songwriter success stories on the same day. Japanese Breakfast and Waxahatchee. Michelle Zauner and Katie Crutchfield. Two artist's linked in countless ways. Set against an Indie Rock backdrop, the two hopeless romantic's detail the inner-workings of love, in ways only those precariously obsessed can. However, where one has shown promise escaping the confines of cliche, the other remains stuck in the mud. Japanese Breakfast's Soft Sounds From Another Planet found Indie commonalities competing against creative conceptions, causing an album riff that was equal parts comforting and bemusing. Much was the case on last year's Psychopomp, as Zauner's emotional inconsistency matched the diversity in tone, deliverance, and tempo. With Waxahatchee, the same can't be said. Her one-dimensional view on love matches our universal norms; diluted, contrived, and mostly fabricated. In mainstream entertainment, love's a weapon of choice that's either good or bad, the intricate grey area a non-factor for those reaching extremes. As with 2015's Ivy Tripp, Out In The Storm largely deals with providing substantive heartache for those that are in need of an honest mirror. How much more can be said when the topic and approach are always the same? It seems as if Waxahatchee has never struggled to answer this, perfectly content living in her strenuous melodrama. Pen to paper, she writes fearful love songs, scared of the sacred sentiment. 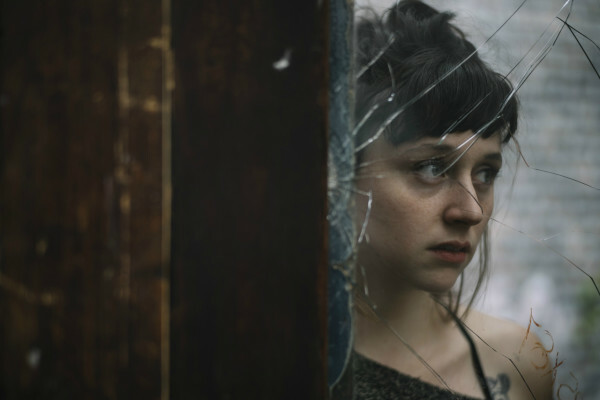 Her wishes of escapism whilst immobile captured most prominently on Out In The Storm, an album that finds Waxahatchee wanting to leave but unable to do so. In other words, a declaration endured by any relationship that's not meant to last. For an artist like Japanese Breakfast, who largely entertains the same thoughts, success can be found in the music itself. With Singer/Songwriters though, especially those using the derivative Indie platform, music is merely a subsidiary obligation. For those, like Waxahatchee, who treat lyrics as the primary concern, failing to say anything of interest in the process, both sides of the stone suffers. Much like Ivy Tripp, an album that expressed a desire to breakthrough following the conventional Cerulean Salt, Out In The Storm works purely through Indie Rock. There is no other genre, primary or otherwise. A vocalist, a guitar, a drum set. You will find nothing else on the LP, one that's so rooted in formalities that it learns to love it. All this negative talk's only meant to convey the utter lack of creativity Out In The Storm exercises. Truth be told, while the speedy 33-minutes doesn't intend on unmasking a fresh idea or two, the heart, soul, and mind of Waxhatchee drains out just enough to warrant her presence. Like with all her works, Crutchfield establishes the basic functions of being a credible musician, understanding the necessity for harmony, melody, and concordance. Each song, from the aggressive narcissism of 'Never Been Wrong' to the succulent rays of '8 Ball,' works distinctively on its own, structurally competent, crafted with a personal touch. There's even a few tracks that borrow from the early 2000's Pop Punk era, one that's slowly becoming one and the same with Indie Rock. 'Brass Beam' and 'No Question' are two examples, thundering along with vicarious pace and temperamental timbre. Much of Out In The Storm is composed with assertive vigor, something that was dispersed sporadically on Ivy Tripp and used rarely on Cerulean Salt. In terms of entertainment purposes, this divide is crucial, as for the first time in Waxahatchee's career, bland Singer/Songwriter compositions take a backseat. As she becomes more comfortable with herself, the tenacity unleashes within. That's not to say there's zero moments of recluse though. In fact, three of the ten tracks abide by the basic formula. 'Recite Remorse,' 'A Little More,' and 'Fade' wade in the shallows with hushed undertones and overtones. 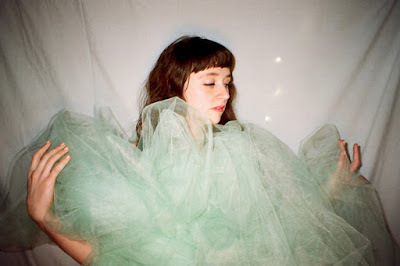 None of them are particularly bad, as Waxahatchee's grown accustomed to this style by now, but none impress either, blandly swaying in the breeze waiting for the gust to end. There's two exceptions to this, as 'Recite Remorse' eventually evolves into something more eventful, and 'Sparks Fly,' I feel, finds that amicable balance between sound and singer. With Out In The Storm, it seems as if every track is either one or the other. Loud or quiet. 'Sparks Fly' teases both halves, finding Crutchfield's charismatic vocals in tune with a martial march of drums, akin to a Fourth of July celebration. Whether it's the best track or not's undecided, as quality here isn't so much intermittent as it is a constant. 'No Question' has a stake in the race, featuring one of Out In The Storm's only creative moments, that being Crutchfield's vocals trailing off by digital strain at the end. '8 Ball' does too, if only for her cordial presence lingering atop the Country-esque handclaps and percussion taps. At the end of the day though, there's nothing to distance Out In The Storm from the fact that it's just an average album. Similarities can be drawn to Wilco's latest release Schmilco, an album so blasé about its own existence that, while the songs may have been congenial, longevity thanks to excessive ingenuousness is almost nonexistent. Her voice may be fetching, her talents as a musician concrete, but Waxahatchee suffers from lacking a vision of something more. Out In The Storm admires the present, rooted both lyrically and musically to the styles of routine musical administration. Attention-grabbing it is not. What 'Never Been Wrong' achieves off the bat, strapping listeners in to this RomCom traveling on soundwaves, is reduced to leniency and a tendency to retrace old steps by 'Silver.' Waxahatchee does her best at spacing her influence, but when there's not much to go around, the holes become unavoidable. The hasty 33-minutes helps to offset the redundancies, as by the time they set in Out In The Storm's nearing its conclusion. If harmless, inoffensive adulation of love warrants another spot in your catalogue, then Waxahatchee's latest is itching to lie dormant there.